If you’re looking for an affordable and effective sunblock, Biore UV Perfect Face Milk SPF 50+Â PA+++ Â makes the mark. It’s liquid based, being milky in texture but isÂ ultra light leaving a sheerÂ natural finish with no white residue nor sticky feel.Â Â Because Biore UV Perfect Face Milk SPF 50+ PA+++ containts sebum-absorbing powder to control oil and shine, skin actually feels powdery upon application.Â Yet, this sunblock does not clog up pores, works well as a makeup baseÂ with theÂ faceÂ staying shine free for a good part of the day. I use this indoors on some days although most of the time, I apply it as a sunblock for the hand because I like the non-sticky feel.Â It has quite a pleasant fragrance but those who are allergic to alcohol in their skincare might want to avoid this product as it contains that. And from what I’ve read at the forums,Â severalÂ ladies who have used this were equally impressed. Thinksport SPF 50+: The Almost Perfect Mineral Based Sports Sunscreen Best sunblock: Keys Solar Rx SPF 30+ Is higher SPF in sunblocks better? Share: which SPF number is good enough for you? Where do you buy this from?? Irene: You can get it from the supermarkets like NTUC and if I’m not wrong, the pharmacies as well. Ashes: Ya, be careful. If you sis buy, you can try on your lower jaw to see if got reaction. thumbs up for this product!! abbygeyl: Glad it worked for you. It’s good if your skin isn’t the dry type because this product does contain alcohol. hey may i know when i use it on face, can i immediately use revlon colour stay makeup with softflex with spf 15 normal/dryskin? linlin: You should be able to since this sunscreen settles very quickly into the skin without leaving a sticky residue. is this product recommended for people of color? if so, will it help reduce unwanted tans? Naima: Hi, everyone should be able to use this but I doubt it will reduce unwanted tans. The UVB protection might help to prevent darker tans though. if i used it, do i need to use makeup remover to wash away or just normal water? and even use it at home? how many times can i use for a day. linlin: You can wear this at home too. No problem. Unless you’re out, there is no need to reapply. Otherwise, you should try to reapply at least once in the day. As for cleansing, normal cleanser works. But take note that this sunscreen contains alcohol, which can be drying. Not recommended for those with dry or sensitive skin. erm, what should i use for pimples scar? i need help. audrey: Tea tree oil? It’s supposedly good for pimple or acne as well as the scars. Personally, I find rose hip oil useful for this too. what brand and where can i get it from too? audrey: I can’t remember any brands offhand but if you check out the pharmacies, you should be able to find them. I know Body Shop also carries some tea tree products but I don’t know what are they specifically. I’ll try to take a look sometime this week and if I can find out, I’ll post the info here again. tea tree oil is for normal wash face? Audrey: Tea Tree Oil is an ingredient used in creams, ointments, lotions, soaps, and shampoos. It’s known to be a good antiseptic, effective for treating acne. Maybe I’ll write some info on it in another entry soon. okay! thanks. hope to see your replys soon. Can it be used on body too? Like arms, legs, neck etc. Lea: Yes, I use them on my hands. hihi…may I know whether i can apply it under my eyes? strawberrie: No, please don’t apply it under or around your eyes. There are 3 series of them. How to differentiate them? momo san: Oh dear, I haven’t been keeping a lookout for them. I know there is one for face (blue color bottle) and one for both face & body (white color bottle) but what’s the third one? I tried both and they’re almost similar in texture. Oh, um, about the allergies, I don’t think it’s just alcohol. I could just be hypersensitive (I am), but while I don’t have a history of being allergic to alcohol, I did get a slightly painful rash while using this, and I didn’t really like the texture either because I felt that the “powdery” texture was somewhat unnatural. Aerin: It’s probably the formulation that gave you the allergic reaction. I know what you mean about the powdery texture being unnatural. I’ve came across several comments from others who don’t like such a feel too, whether the product contains alcohol. Diena: Okay, I probably got confused with the color of the bottle…well, hope it’ll work for you. I extremely recommend this product. It’s the most efficient sunblock I’ve used! No stickly,I suggested all my friends to use it and they said that it was miracle! Jadetive: Yes, the formulation is quite matt upon application. Rather nice. Hey, may I just check with you whether or not it’s like a cosmetic which I need to clean off with makeup remover at the end of the day? Or just washing off with a facial cleanser will do? Violety: If you use it by itself without makeup, you can just use a facial cleanser. No need to use makeup remover. Lia: Have you tried ebay? BTW this sunblock was recommended in NRWZD! I feel that normal cleanser is able to do the job for me cos it didn’t feel sticky. But perhaps also because I double cleanse – remove with oil cleanser then foaming wash.
Hi I find it very hard to remove the biore waterproof sunblock. Believe me i have tried cleansing wipes, make up remover follow by double cleansing or baby oil followed by double cleansing. None really fully cleansed the sunblock from my face. When i used my fingers to lightly ran it thro my face i can feel white substance stick to inside of my fingers. Meaning still not clean hmmm really tiring…. It doesn’t sound like the one I’ve tried. You need to use a special cleanser then. I know Shiseido has a sunblock like this and it uses a special cleanser. i hv acne prone skin, is the blue bottle suitable and safe to use? when re-apply, is it alright to apply on the skin without cleansing, wouldn’t dirt be trapped within? I haven’t seen the ingredients so not too sure…as for re-applying, yes, it might be a problem if your skin is dirty. all the bottles are meant for the face except the blue one. The blue one is for both face and body. I just bought this Biore UV perfect face milk white colour bottle which mentioned oil absorbed.Just share with you my value feedback after applied, I feel from morning until whole day my face is smooth, it’s great make up foudation. I use to use BB cream bought from Pinky shop cost $47, but after wear for half day, my face is so oily. I am combination skin more to oily and blemish. Thus this Biore UV is suitable for me.I will use it without apply BB cream, and put a bit blush on my face before go work. Today my face look clean and smooth, non-greasy. Maybe dried skin need to put some moisturise to avoid too dry. Yes, if your skin is not well moisturized, it will try to produce more oil to compensate for the lack of it. and using this, the skin colour is nice. I shouldnt put any foudation. Just wondering at night , should I apply if go outing? or need to replace with face powder? No need to use SPF product in the night. yes, i used the pink one too. It’s good! My face feels matte and less oily than before but should i use a makeup remover to remove it after wearing the sunblock for a day?. My sis says it’s not advisable to use sun block every day. Is this true? 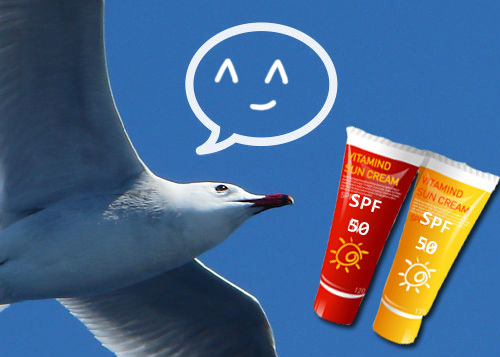 You can use sunblock daily but it depends on the ingredients. Biore’s contain alcohol and might be drying for the skin when used long term. hey thanks for reviewing this. i live in thailand and i just found this product in watsons and boots and i’m gonna try it. i have a very oily face, which one should i use this Biore UV Perfect Milk or Biore UV Aqua Rich? thanks before..